. Ensure all products are safely and properly transported. Qualifications : Must have 1A license. Benefits : Be home daily. Receive great wages. A great benefit package. A matching RRSP ... wages, a great benefit package and a matching RRSP program. .Taking product out of pans and package. The average salary for open Packaging jobs is currently $6,418, 95% lower than the national average salary for all jobs which is $107,190. There are 101 Packaging job vacancies in Regina available immediately, compared to 1 in Fort Qu'Appelle. 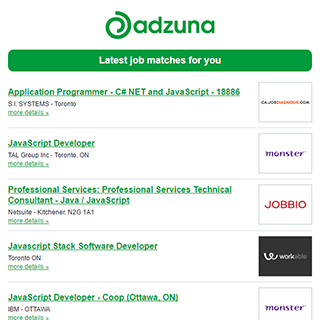 The Adzuna recency index score for this search is 1.00, suggesting that demand for Packaging job vacancies in Regina is increasing. Companies presently offering Packaging job vacancies in Regina include MNP, Canada Cartage, Imperial Oil..
Get the latest Packaging Jobs in Regina delivered straight to your inbox!